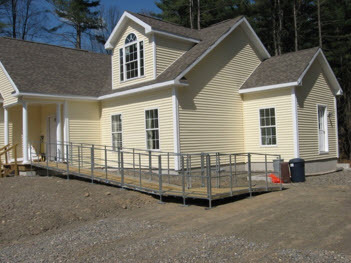 An accessible home is important for people with disabilities and also for those who are aging. 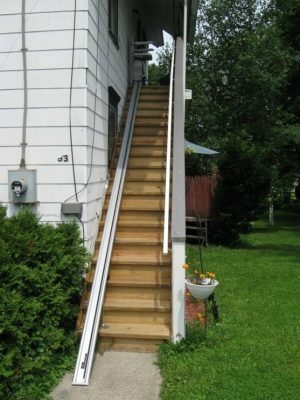 Accessibility modifications help to improve and maintain a safe and independent lifestyle. 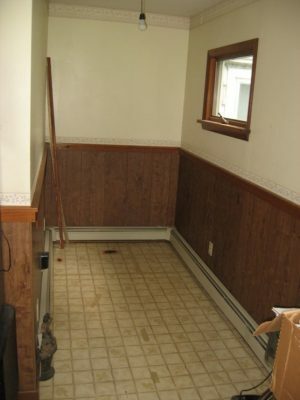 Many simple day-to-day functions can be improved by can be simple modifications like grab bars in a bathroom, replacement of light switches, installation of new door handles, etc. 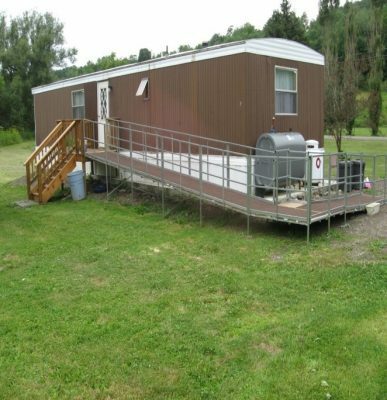 Other larger scale modifications can make big changes in daily life through things like replacement of bathroom fixtures, ramped or modified step entrances, or kitchen modifications for wheelchair accessibility. 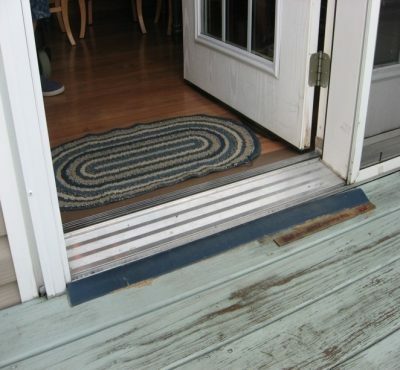 Ramps can help people who have difficulty on steps. 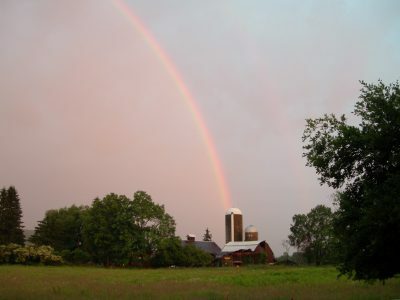 Ramps can address long walks on irregular or slippery ground. 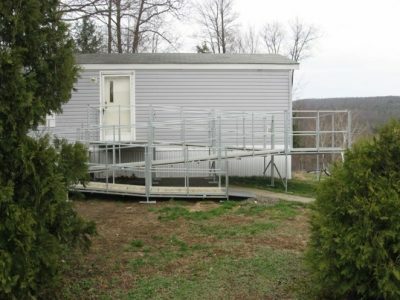 Modular ramps adjust to ground elevation. 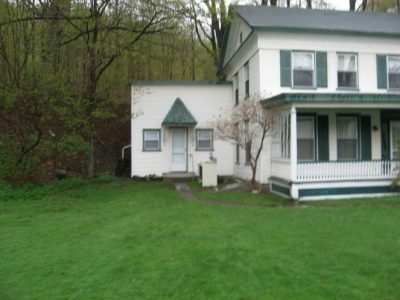 Buildings with higher elevations can be accommodated. Long spans and multiple turns can be configured. 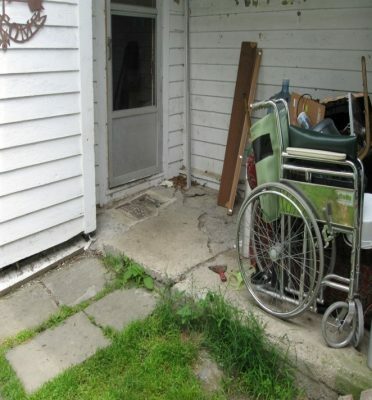 Access to second story can be challenging. 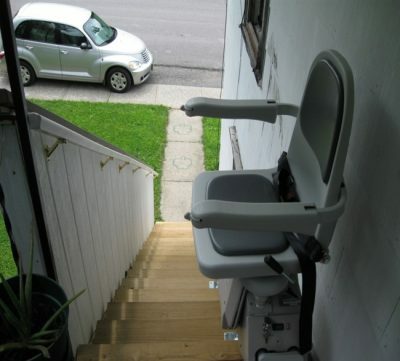 Mechanical Chair Lifts can be used to safely address second story access. 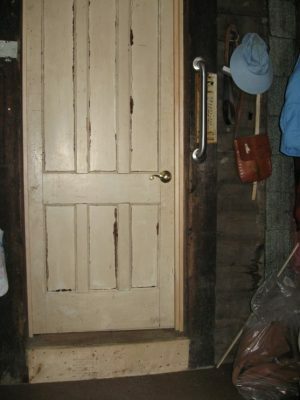 Chair Lift Entry to second story. 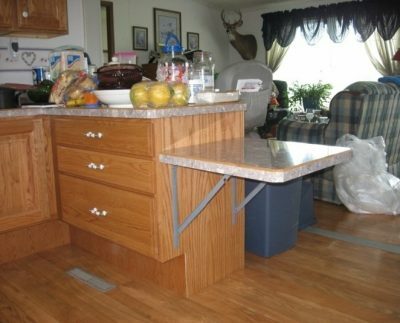 Modification for wheelchair friendly kitchens can include hinged counters. 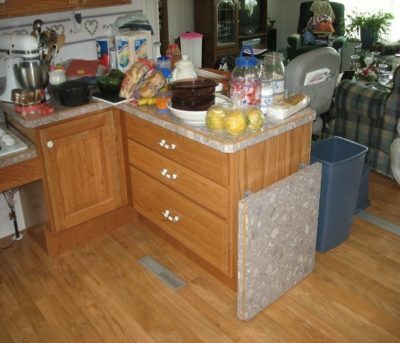 These counters can be lowered to clear floor space for less restricted movement. 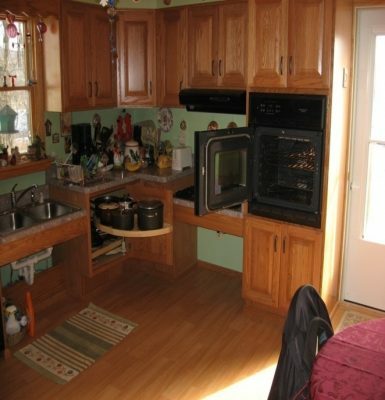 Lowering kitchen appliances make them accessible for wheelchair users. 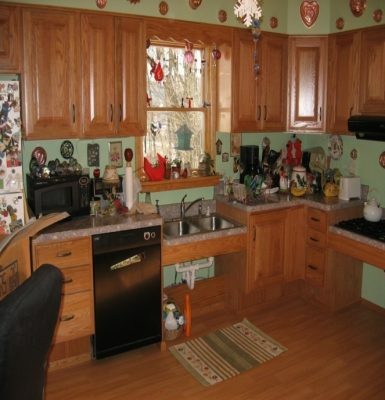 Using lower drawers and shelving keeps needed items accessible. 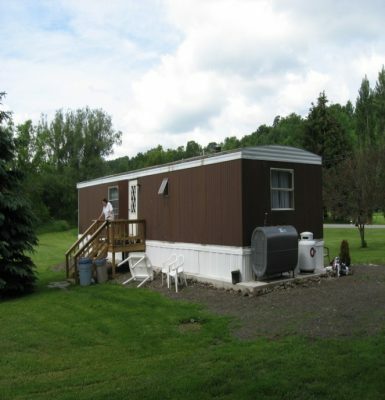 First floor bathrooms and showers can be configured to work in available spaces. 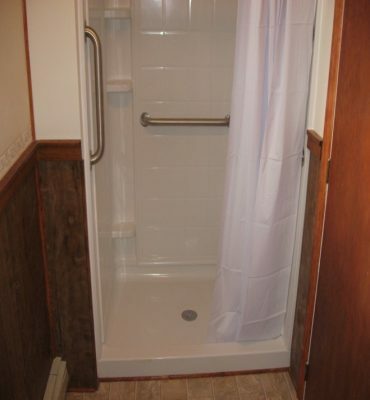 Shower installation in narrow hallway. 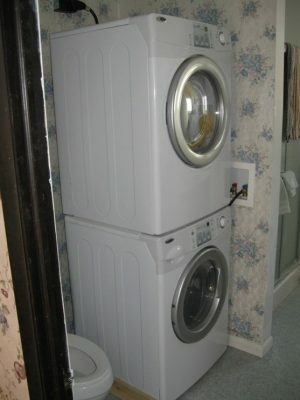 Stacked appliances can fit into small spaces. 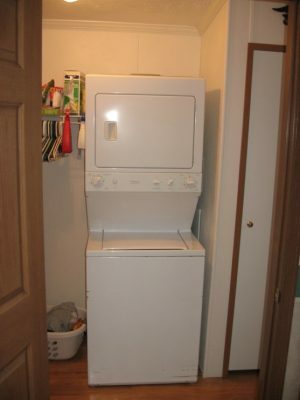 Relocating appliances to main floors prevents having to navigate stairways on a regular basis. Bathroom fixtures can be modified to best suit the height of the client. 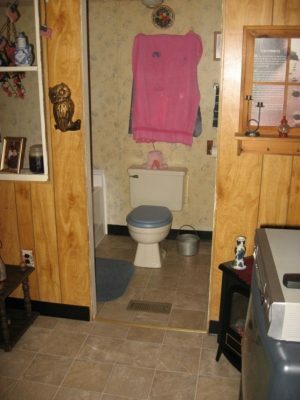 This is a child-sized toilet installed for use by a short adult. 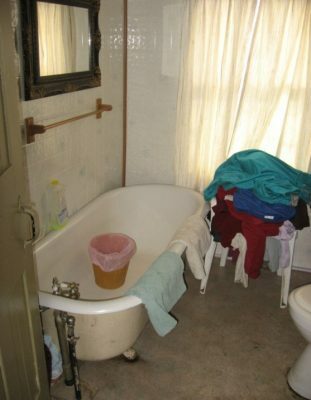 Tubs for bathing and hot water immersion therapy can be difficult to get in and out of. 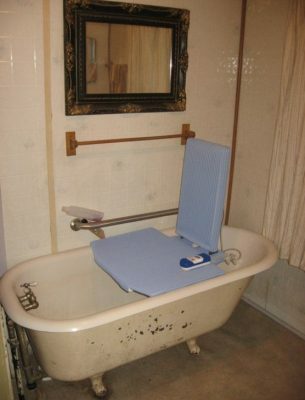 Mechanical tub seats that raise and lower allow for safer use of tubs. 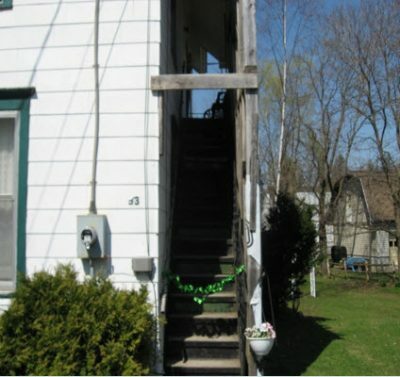 Steps that are very steep, have no hand rail and a deck too narrow for door clearance need to be made safe. 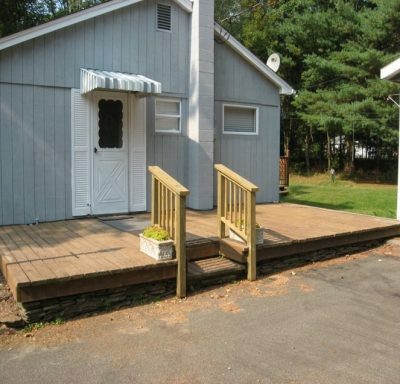 This wider porch now enables the door to swing open with clearance. 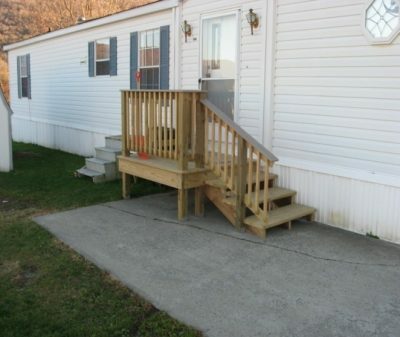 Steps are less steep and hand rail is installed. 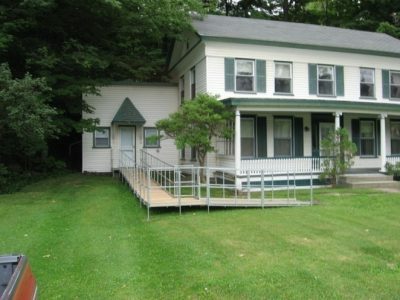 Adding a wide shallow step and a handrail makes for a safer entrance. Wedge fittings eliminate tripping hazard into home entry. 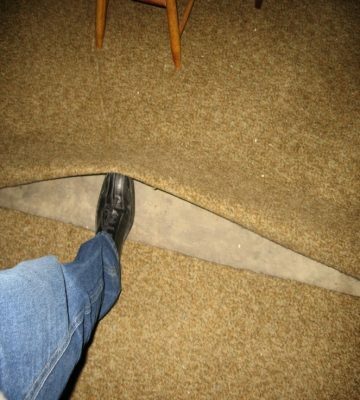 Rug seams can become indoor tripping hazards. 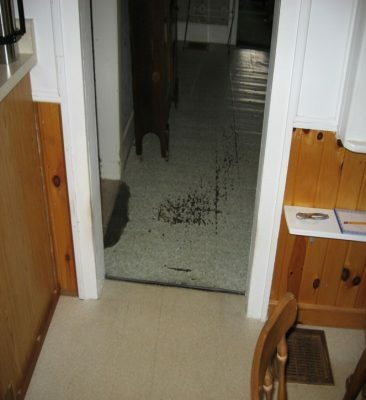 Loose vinyl or tiling can be a tripping hazard. 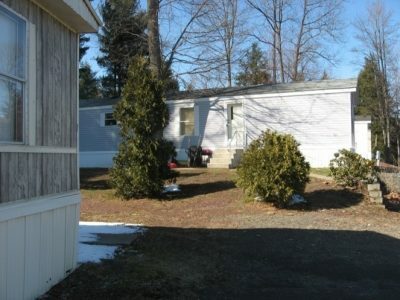 Uneven pavement outside is unsafe. 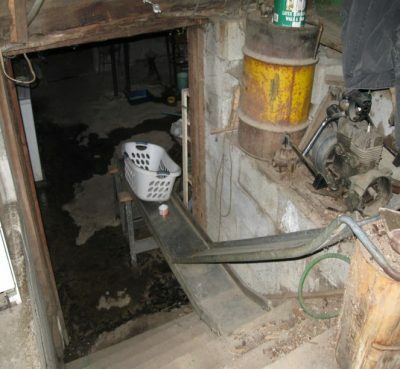 Stairway with crumbling concrete, no hand rails and loose boards. 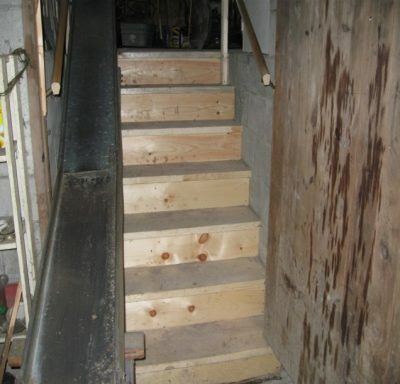 New stairs and handrails installed for safety. 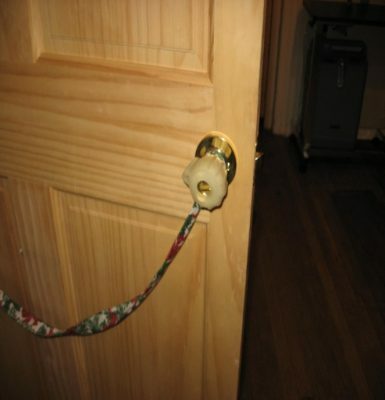 Door knob cover for arthritis. 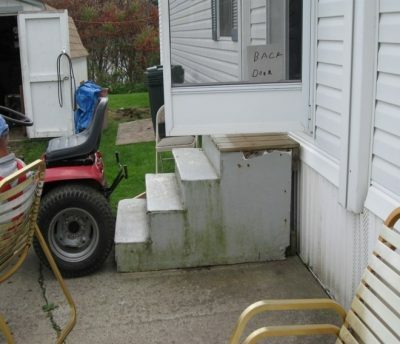 Grab bars installed at stepped entries provide greater stability and can prevent falls. 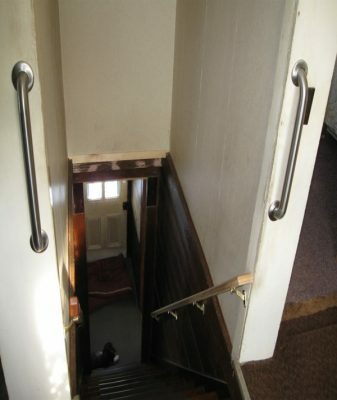 Safety rails at staircase entries help with balance for initial steps.